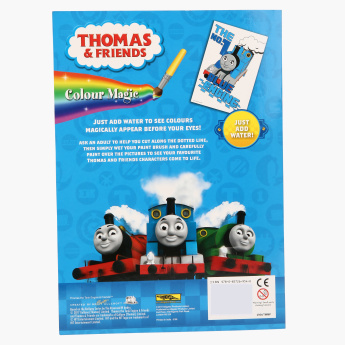 Thomas and Friends Colour Magic Book | Multicolour | This magic painting book is not only a treat for your little ones, but also delight the parents as the painting activity does not leave any mess behind. 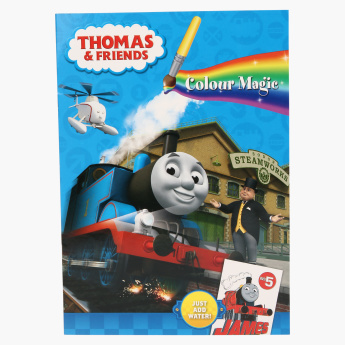 Involve your child by gifting this colour magic book which features your child's favourite character. It helps your child to recognise colours and shapes along with developing your kid's imagination skills. Feature 2 : Simply dip the paintbrush in water, paint inside the lines and wait for the magic. Bright colors will appear and make the pictures come to life. Feature 1 : This magic painting book is not only a treat for your little ones, but also delight the parents as the painting activity does not leave any mess behind. 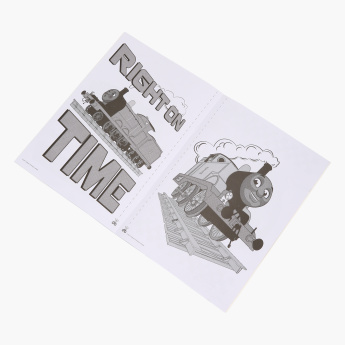 Feature 3 : With 16 pages of painting fun, this book is a perfect gift for preschool kids.